LIFE is better in PINK: One Pot "Spaghetti" and "Meatballs"
So one of my New Years Resolutions was to make some new foods - and I really wanted to aim to make four new things each month (about one per week). I cook a lot, but I tend to cook dishes that I could make in my sleep - meaning things that we eat all the time. 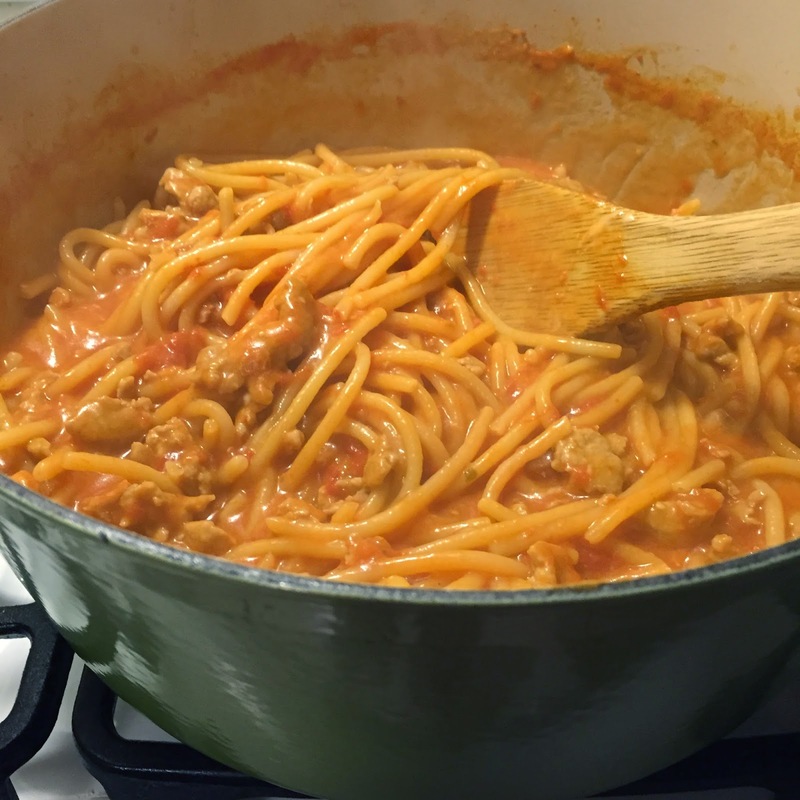 I was really looking to make a spaghetti type dish, and so I came up with this great and easy one pot recipe (my favorite kind)! You might notice that I put the words spaghetti and meatballs in quotations. First because I didn't really use spaghetti. I used bucatini which is essentially spaghetti but thicker with a hole in the middle! I like this better, but you could use spaghetti or linguini. I also didn't want to take the time to make meatballs. 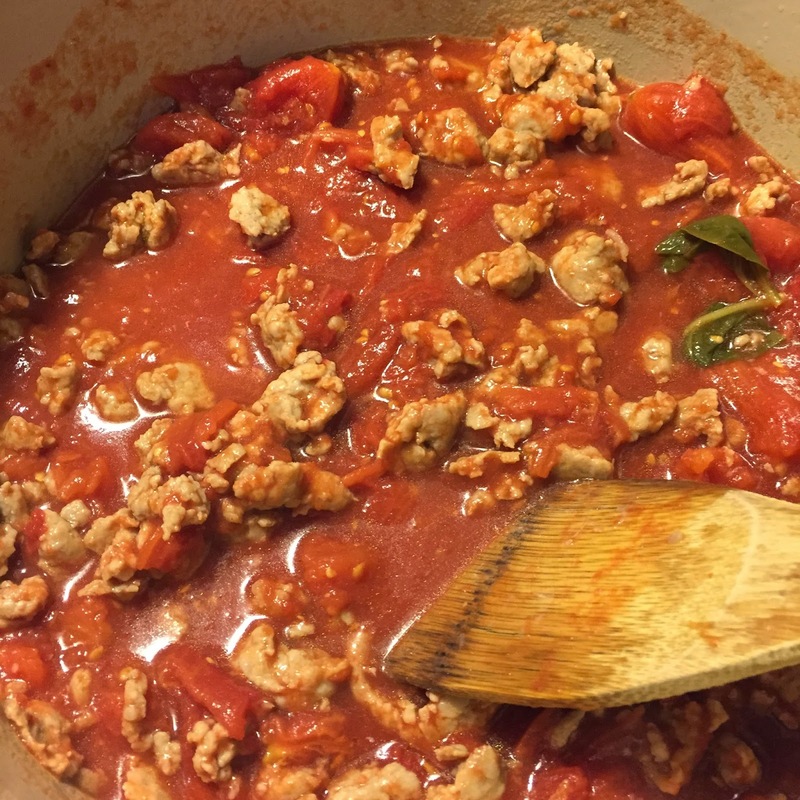 So I used Italian sausage and crumbled it into about the size of mini meatballs while I browned it in the pan. Your Shopping List for the One Pot "Spaghetti" and "Meatballs"
Now Let's Make the One Pot "Spaghetti" and "Meatballs"